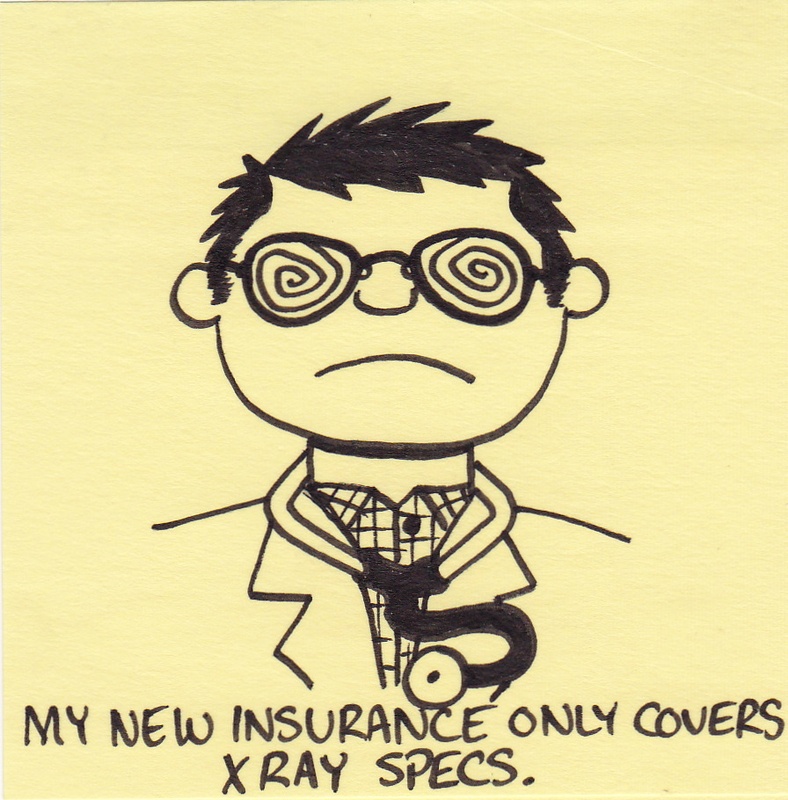 My new insurance only covers xray specs. 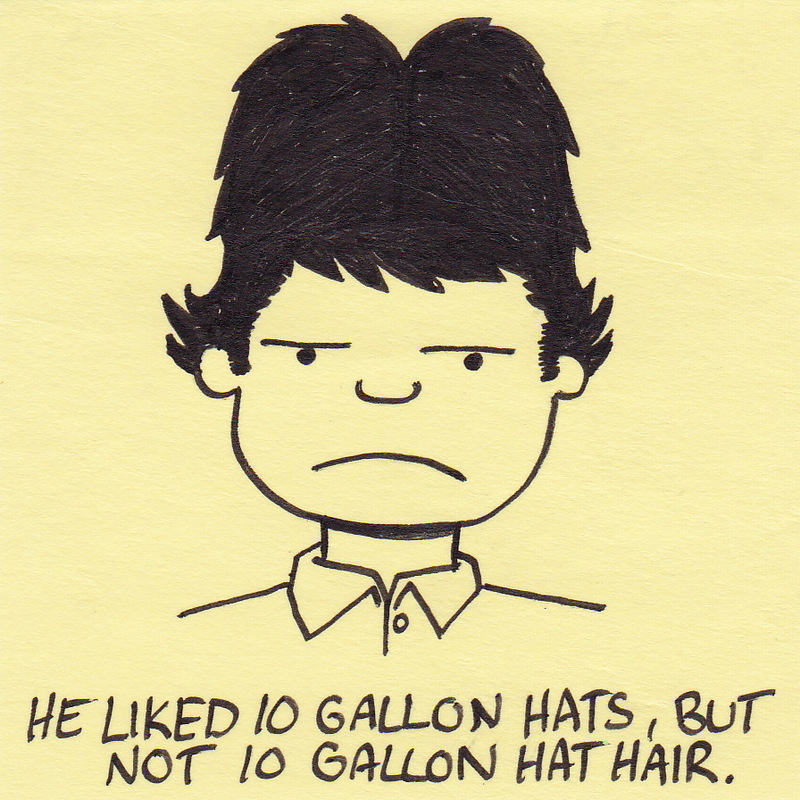 If you ever feel like a challenge, try drawing hair to resemble a cowboy hat. I actually can juggle fairly well. 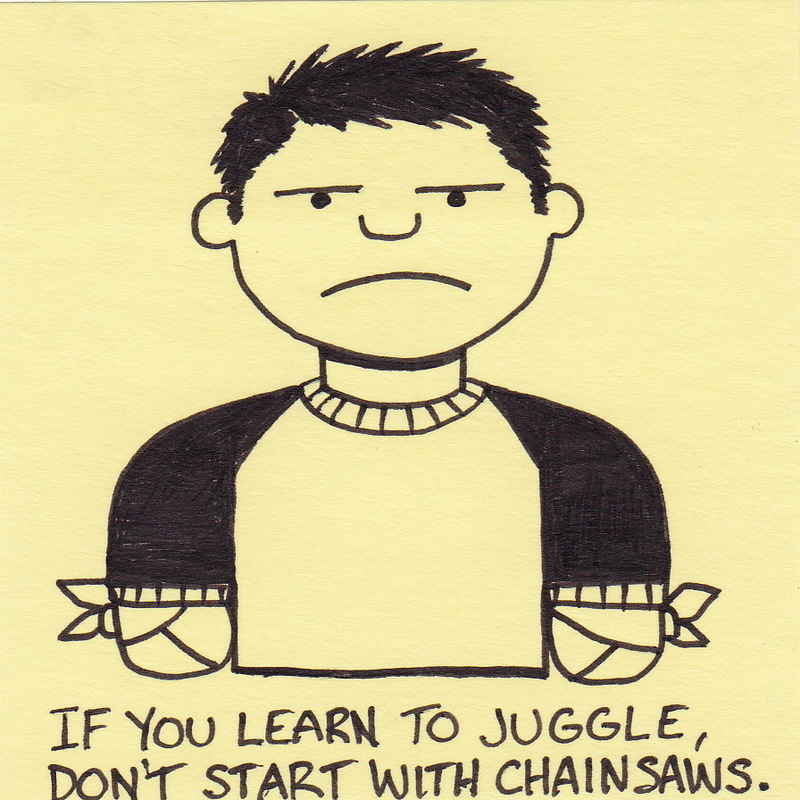 I could juggle chainsaws, I just choose not to. 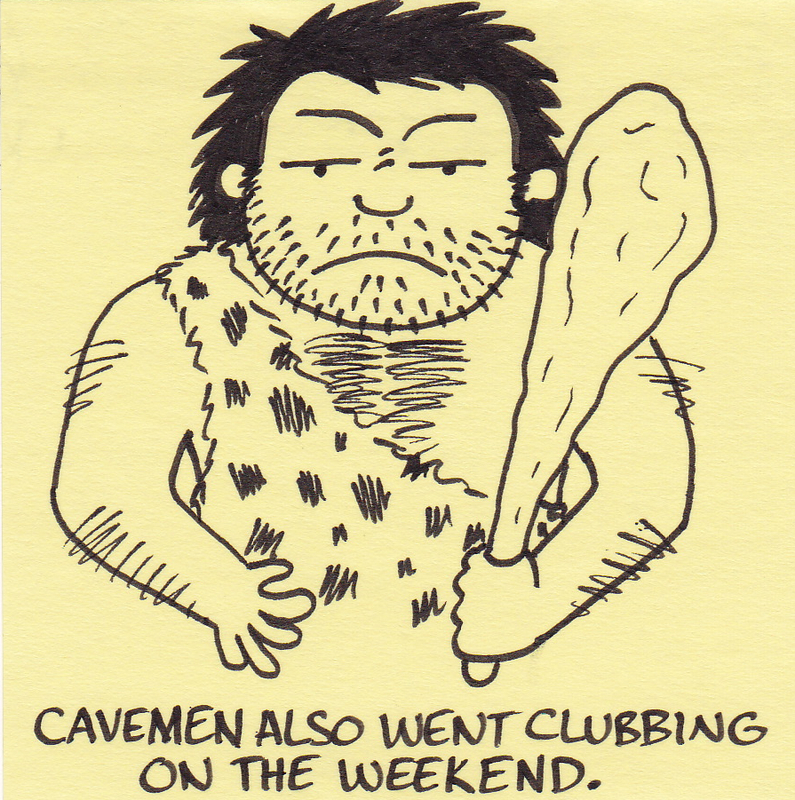 Cavemen also went clubbing on the weekend. Unlike celebrities and other popular people – I do not go clubbing on the weekend. Flashing lights, large crowds, and loud noise pretty much describe the things in life I try hardest to avoid. 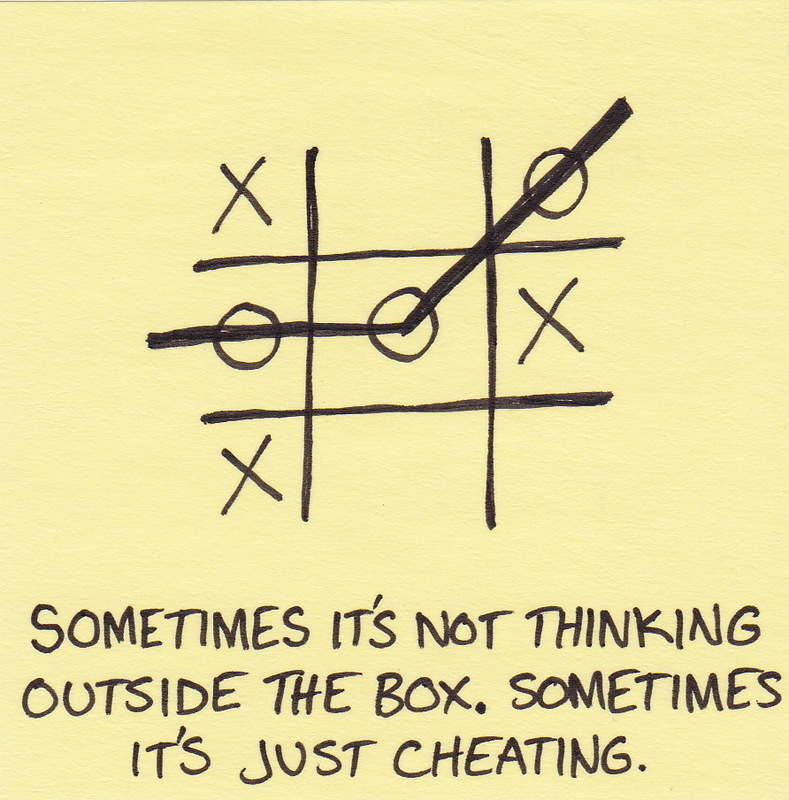 “Thinking outside the box,” is one of those phrases that I’m a little tired of hearing. I have a question for any non-American visitors: is the phrase used in your country? I enjoy driving. Sometimes I enjoy it too much and forget where I am supposed to be going. When we were first married, my wife naturally took it upon herself to help redirect my attention if I was in danger of missing a turn. She would tap on her window and say, “don’t forget we are going to the store/church/work/etc.” As time went on, this routine was shortened to a simple window tap. She would tap and I would turn. I wasn’t even aware of the habit until one day we did it with a passenger in the car. She tapped, I turned and the passenger laughed until they were sick. 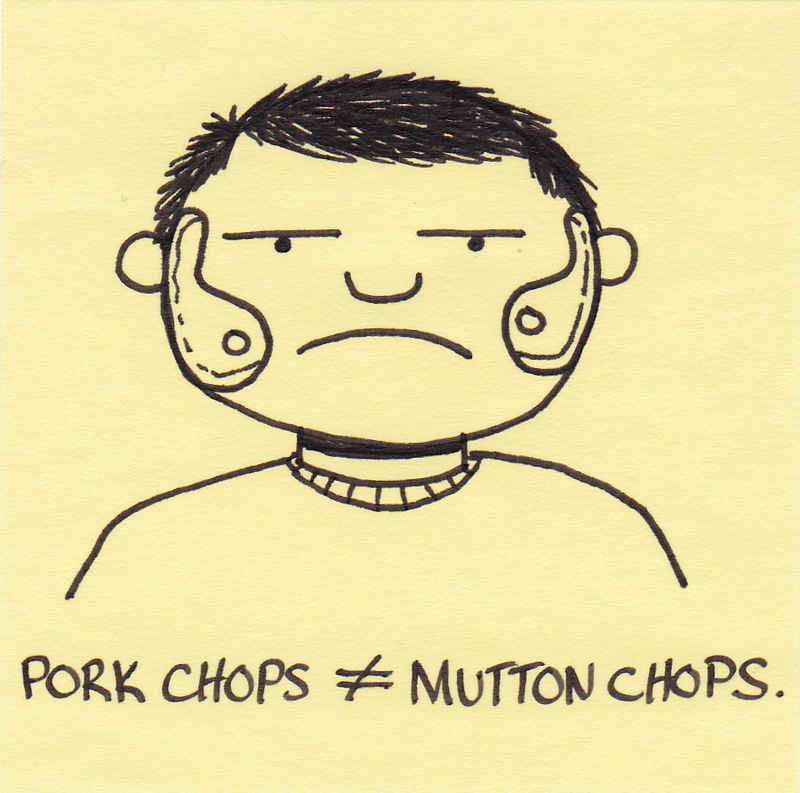 Pork chops do not equal mutton chops. 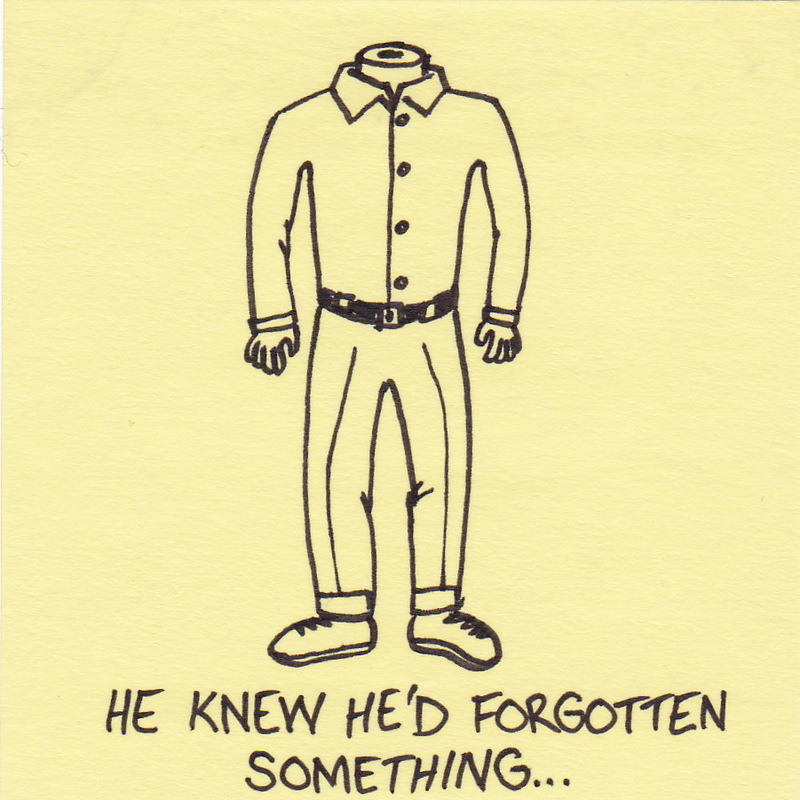 You are currently browsing the Inkjot blog archives for October, 2010.